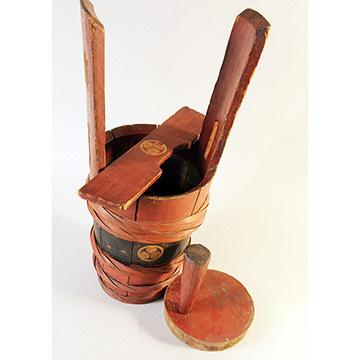 Sake, an alcoholic drink made from polished rice, is produced by a fermentation process more complex than that of beer brewing. Both use yeast to convert starch into sugar and alcohol. With a much higher alcohol content than wine or beer, fresh sake degrades quickly in the presence of light, air, or heat. 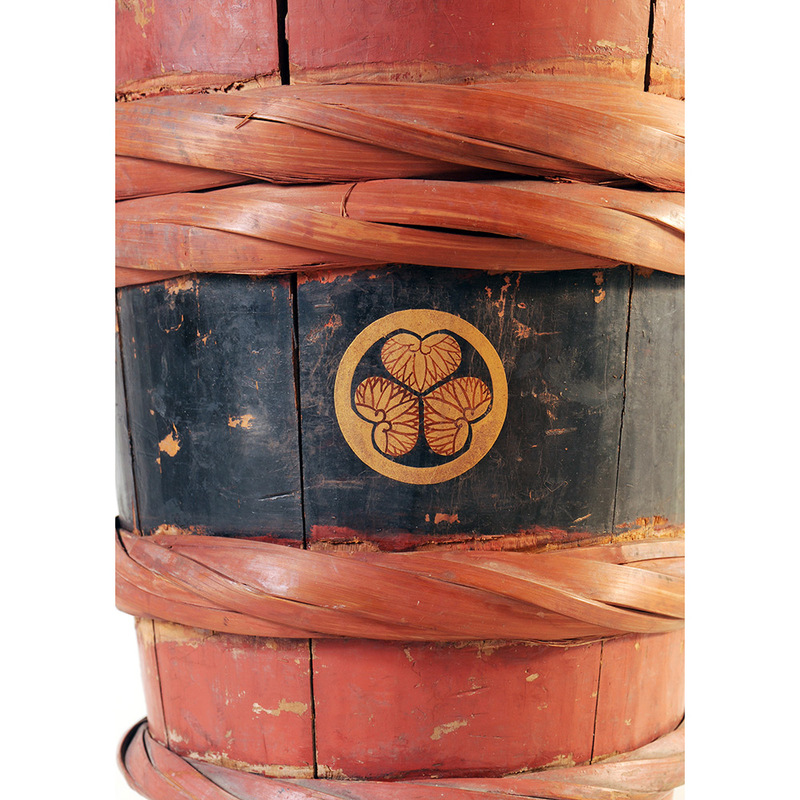 A barrel such as this one was used to serve sake to a family celebrating a happy event or as a prayer offering to a local shrine in a Shinto ritual. Bamboo bands bind together its wooden planks. 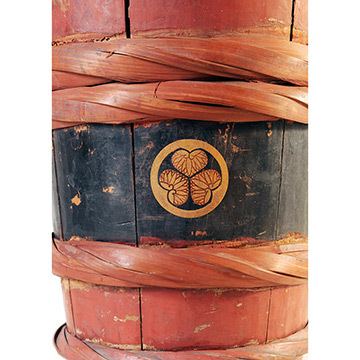 The gold, triple-leaf emblem on the carrying handle is the Tokugawa family crest and symbolizes the venerated clan and the last shogunate. The handle slides out of the tall staves so that the plug can be removed and the lid released. 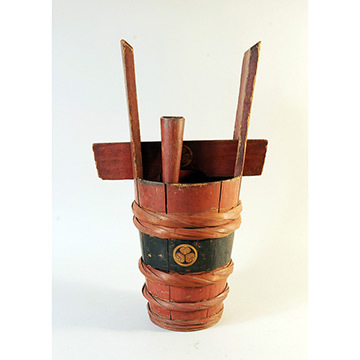 In the 20th century, ceramic containers replaced wooden iwai-daru, or "celebratory," barrels.